Used 2013 Keystone RV Outback 210RS for Sale in Mt. 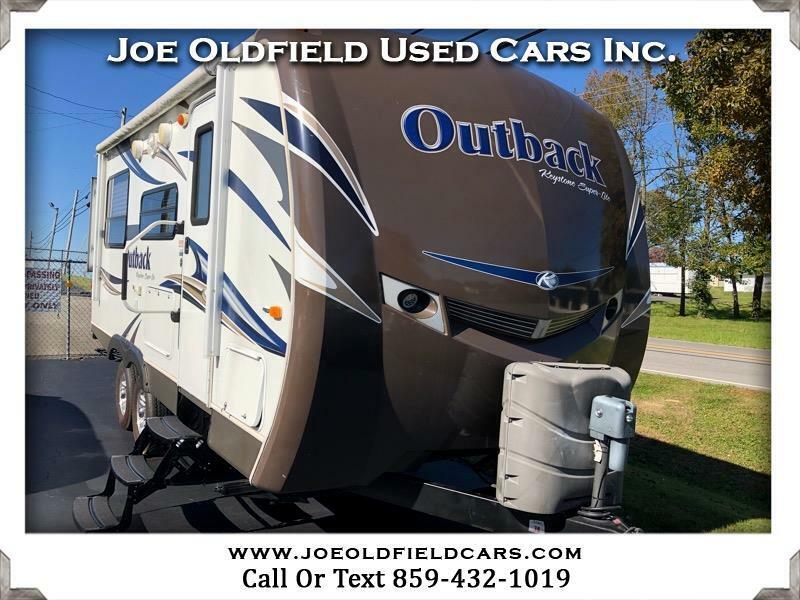 Sterling KY 40353 Joe Oldfield Used Cars Inc. Very clean, like new 2013 Outback 210RS Camper by Keystone Ultra-Light! This camper comes packed with nice amenities like rear queen side slide out, two bunk beds, central heat and AC, hot water heated, shower, pump out head, refrigerator, microwave, oven/stove, folding sofa, folding dinette table, 24in TV and much more! This camper has been well maintained and is in great condition! Sleeps 8! Please call for more information or stop by the lot to check it out! Message: Thought you might be interested in this 2013 Keystone RV Outback.